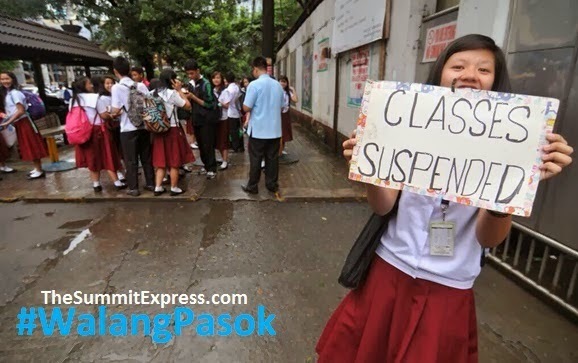 MANILA, Philippines - Some local government units (LGUs) and schools announced class suspensions for today, July 6, 2015 (Monday) due to inclement weather situation as Typhoon 'Egay' is almost stationary over Luzon areas. The advisories were released through social media since Sunday. 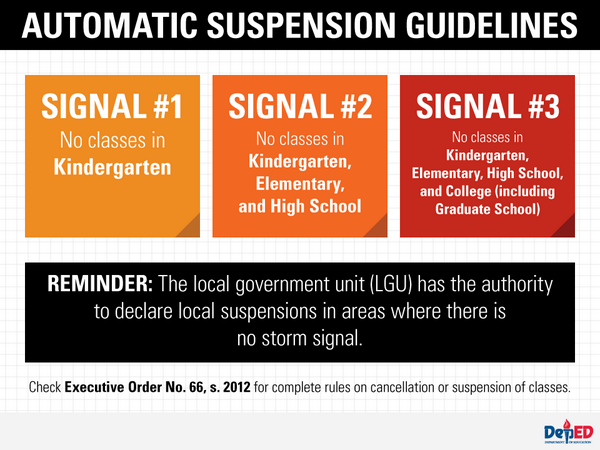 State weather bureau PAGASA on Moday raised public storm warning signal (PSWS) No. 2 (61-120kph Expected in 24 hrs.) over Luzon: Batanes, Cagayan including Calayan and Babuyan group of Islands, Apayao, Kalinga, Ilocos Norte, Ilocos Sur and Abra. PSWS No. 1(30-60kph Expected in 36 hrs.) is expected on these areas: Pangasinan, Isabela, Benguet, La Union, Mt. Province and Ifugao. 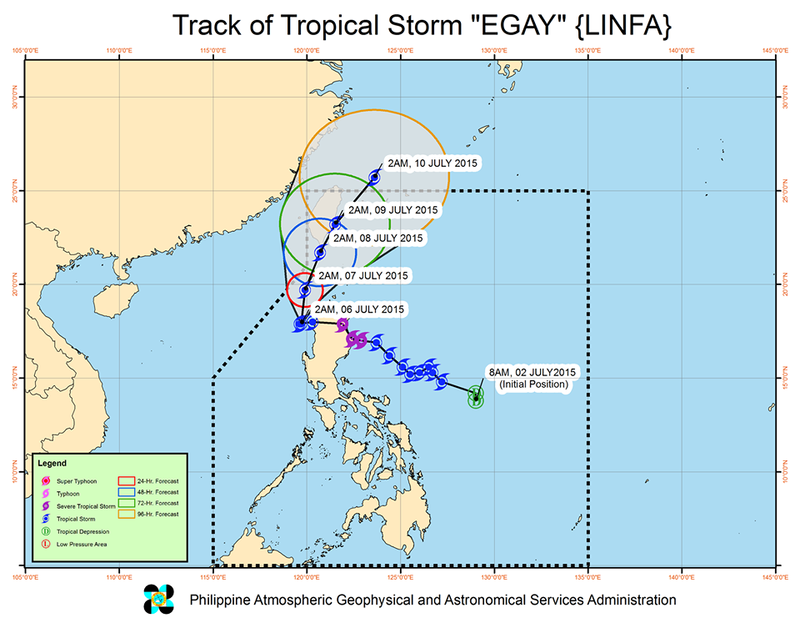 Tropical storm “Egay” is expected to exit the Philippine Area of Responsibility (PAR) by Thursday evening (July 9).